Care Everywhere, Epic's interoperability platform, exchanges patient data with other healthcare institutions, HIEs, and U.S. government agencies on the eHealthExchange (formerly the Nationwide Health Information Network). Care Everywhere can exchange information directly between systems without an intermediary and follows transaction and terminology standards specified by IHE, ONC, HITSC, and other industry groups. In our query-based approach, Care Everywhere uses transactions from the XCA and XDS.b integration profiles developed by IHE. When pushing or receiving pushed information for planned transitions of care, Care Everywhere uses XDR Direct Project standards. Check out our supported standards to learn more. Using both query-based and push-based approaches, Care Everywhere can receive and display Continuity of Care Documents and several other industry standard document types (including all CDA-based documents). We also support the exchange of documents defined in the Consolidated CDA framework required for the U.S.'s Meaningful Use Program (ONC 2014 and 2015 edition certification criteria). Our Interconnect service-oriented architecture (SOA) platform allows services to be exposed as SOAP/XML and REST/XML/JSON over HTTP/S, providing both traditional request/response messaging and asynchronous, queued messaging. Our library of open web services enables extensions and connections to support the evolving needs of the Epic community. We offer high-level web services across categories including access, accounts, billing, clinicals, diagnostics, identity, imaging, orders, access, patient portals, pharmacy, scheduling, security, and more. FHIR (Fast Health Interoperability Resources) is the newest HL7 standards framework for data exchange, and we are closely monitoring the evolution of this standard. The Epic system currently includes support for a range of DSTU2 read and search resources, and we are adding support for more read and search resources as well as for write resources on the STU3 standard. We offer healthcare organizations using Epic the same tools that we use to develop our systems, as well as training for their developers. They can use our web services to create and share add-ons, extensions, and new functionality. Feel free to explore our public documentation, APIs, and online testing tools, such as our public sandbox for testing patient facing apps using the common clinical data set of FHIR resources. If as a developer you'd like access to more sandbox services or technical support, check out our App Orchard developer program. 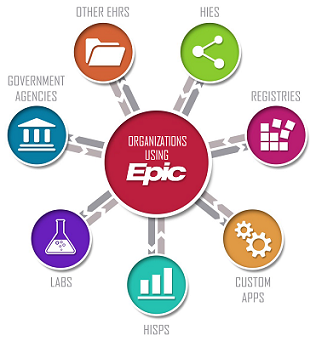 Epic has one of the largest libraries of standard interfaces, supporting standards including HL7 v2 and v3, NCPDP, CDA, ANSI, DICOM, and more. These interfaces allow healthcare organizations to connect with other vendors and outside groups such as pharmacies, specialty and immunization registries, and lab systems. Along with our interfaces, we also supply the Bridges interface toolkit, which allows customers to efficiently monitor and maintain all the Epic interfaces they use, as well as to write new interfaces to fit their specific needs. Feel free to explore our public documentation. Epic software products earned certification for ONC 2014 Edition and ONC 2015 Edition criteria. Learn more. 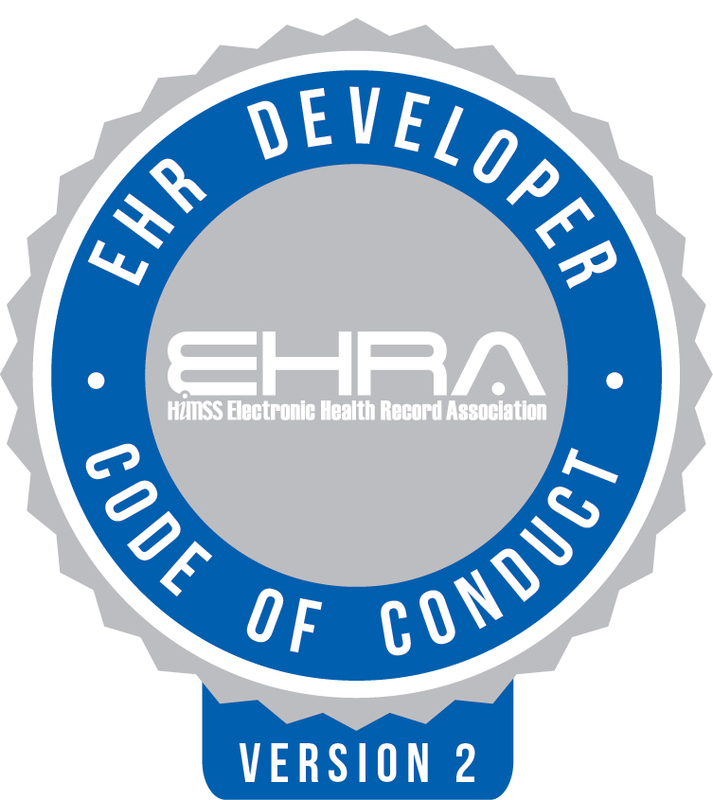 Epic fully endorses and formally adopts the Electronic Health Record (EHR) Association's Developer Code of Conduct Version 2 that encourages cooperative and transparent business practices among industry stakeholders. We are proud to have participated in the Code's creation and to stand alongside our fellow EHR developers in demonstrating mutual support for safe, interoperable innovation. Epic traditionally showcases IHE interoperability at the HIMSS IHE showcase and tests interoperability with a variety of vendors at the North American IHE Connectathon. Browse our IHE integration statements. Like the framework and agreements that enable roaming across cellular networks and providers, Carequality's common framework includes trust policies, implementation-level functionality, standards-based technical and testing requirements, and operational practices for faster inter-network connectivity. The Argonaut Project is an initiative to advance industry adoption of modern, open interoperability standards and rapidly develop a first-generation FHIR-based API and Core Data Services specification to enable expanded information sharing for electronic health records and other health information technology based on Internet standards and architectural patterns and styles.